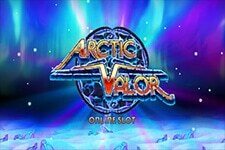 Microgaming is taking you to an adventure of epic proportions in the sequel to the original Avalon video slot. Based on the story of the legendary King Arthur, the latest installment will take you on a quest to find one of the most mysterious artifacts of the Arthurian legends, the famed Holy Grail. 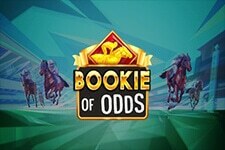 This 5-reel video slot with 243 ways to win will take you on a thrilling journey across the kingdom, on your mission to find the Grail and take it back to Avalon, the mystical island where King Arthur’s sword Excalibur was forged. 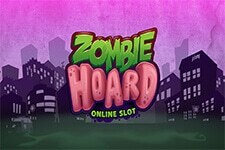 With top-notch graphics and an excellent soundtrack, this release offers action-packed gameplay, extremely rich in features, with lucrative bonuses to make the whole experience worthwhile. But that’s not all, since you’ll have the opportunity to win up to $480,000. You’ll be joined by many of the characters from the Arthurian legend, from the beautiful Guinevere, Arthur’s wife, to Merlin, Morgan le Fay and the sinister Black Knight. The long and arduous journey to retrieve the Grail starts with a single step. In this case, this step requires to place a wager. The coin denomination goes from $0.01 to $0.20, and depending n the bet level, your wager will be anywhere between $0.30 and $30 per spin. 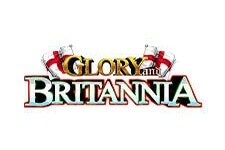 Low-value symbols are playing cards, while the top paying ones feature all those mentioned characters from the Arthurian legend and the game logo, which is the highest paying symbol. 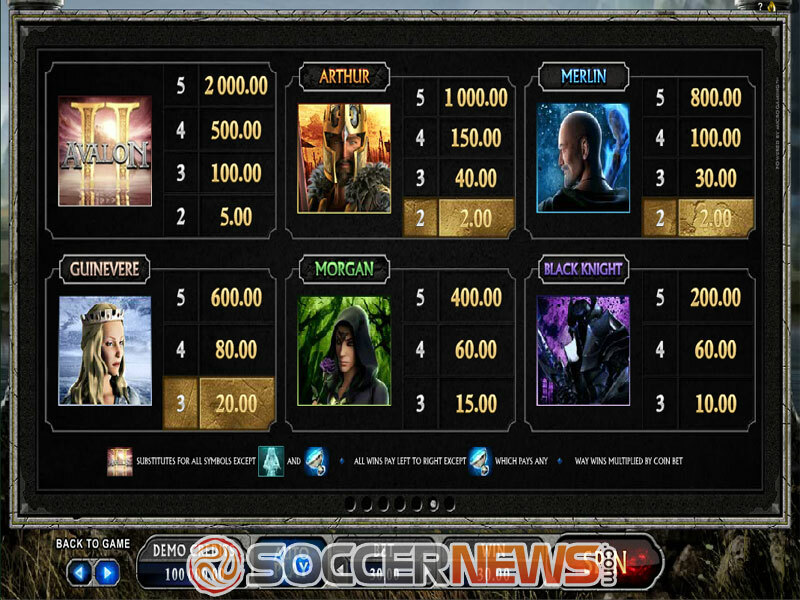 To start receiving payouts, you’ll need at least three of a kind, except when it comes to symbols featuring Merlin, Arthur and the game’s logo, where two are enough to give you a win. 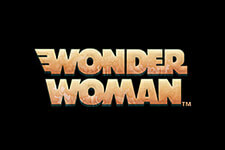 Along your way there are 8 bonus games to be discovered, which can handsomely reward you on your quest. You’ll reforge Excalibur and receive help from the White Knight, while there are many Free Spins waiting to be found in Misty Vale, Forest Falls and Morgan’s Keep. Show that you have what it takes to reach the Hall of Shadows, where you’ll have to fight the Black Knight to recover the Grail. To trigger the Grail Bonus, simply land at least three Grail symbols on the reels and you’ll have a chance of winning up to $480,000. 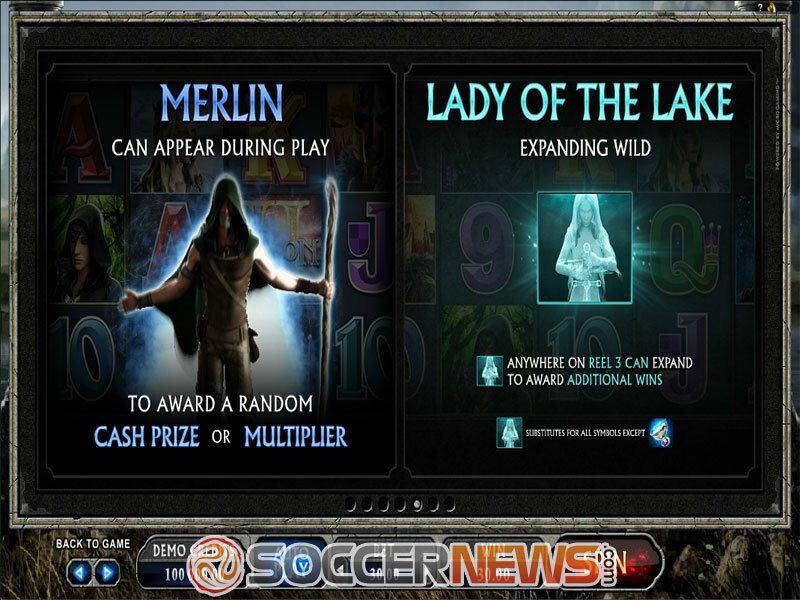 There are many multipliers to make your winnings even bigger, going up to 15x in some bonus games, but also randomly awarded when Merlin appears during play. And that’s not all, since Lady of the Lake Wild will expand when landed on the reel 3 to award additional win. Avalon 2 brings medium variance and an RTP of 95.92%, so it will be equally appealing to both casual players and win-hungry high rollers. 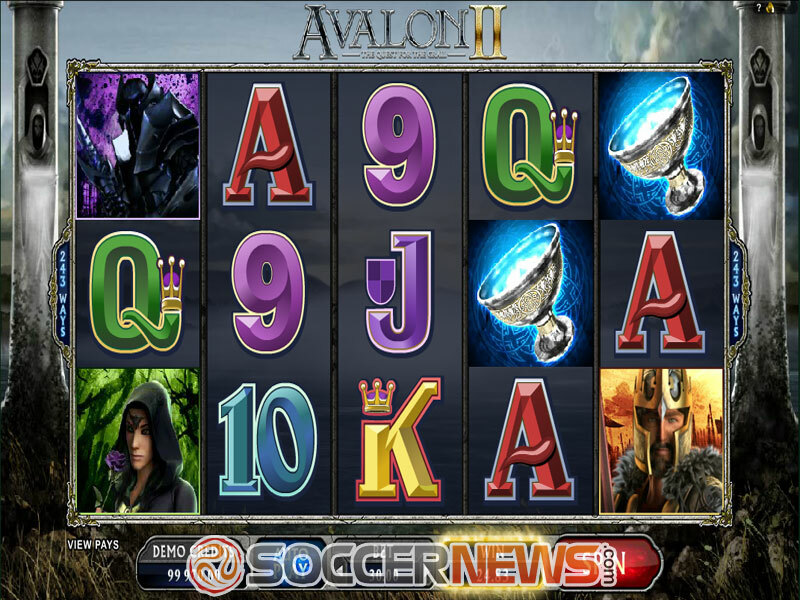 Look for Avalon 2 at any of Microgaming’s casinos. 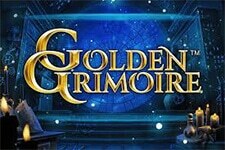 Defeat the Black Knight and retrieve the Holy Grail. 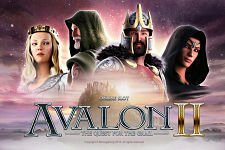 "The sequel to the popular Microgaming title, Avalon 2 takes you on a once in a lifetime adventure to find the fabled Holy Grail. You can expect many obstacles on that journey, but also many lucrative features to reward your bravery."